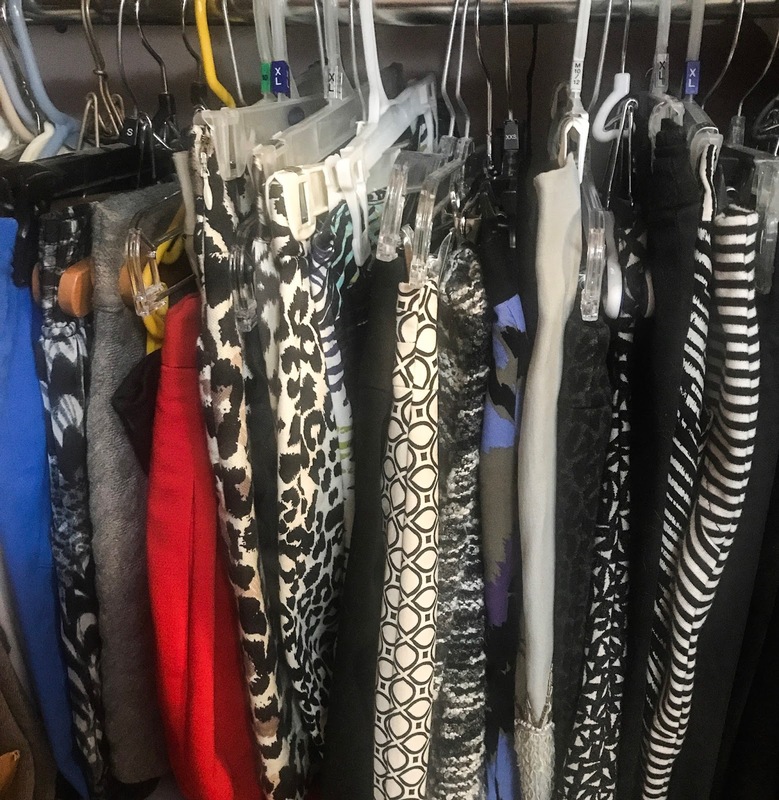 I try to go through all of my clothes twice a year - in winter and spring, when I'm changing from one season of clothes to another. Full disclosure - this does not always happen. This year, however, I had some extra motivation from Stacy London's talk still fresh in my mind, so I wanted to do it. I tried to be really ruthless about going through my closet this time. I went through every single thing individually, and really thought about if I had worn it at all recently, and if I actually felt good the last time I had worn it! It's hard to get rid of things that you know you spent money on and rarely (if ever) wore, but it's pointless to leave it in your closet just sitting there. There's nothing worse than rushing to get ready for work, pulling out a shirt you can't remember why you haven't worn recently, only to be uncomfortable all day. Obviously I still need to work on my hanger game! So with that, here are my tips for make a closet clean-out easier and more productive! It's really easy to get overwhelmed and want to quit when you have your whole closet ahead of you. So, pick an article of clothing and start with that. Go through all of your skirts, then stop and take a break before you move on to the next category. It'll keep you from getting frustrated, and keep you from making quick decisions just to get the whole process over with! Clothes can be really cute, but if you never wear them, they have absolutely no value to you. I had a skirt that I really loved, but never felt like it went well with anything else I owned, so I never wore it. I finally got rid of it, because it wasn't doing me any good while it sat in my closet unworn. I know - you feel really guilty getting rid of something with the tag still on it, because it feels like a huge waste of money. But if it's more than a month or two old and the tag is still on, you're never going to wear it. If it's something that a tailor could easily make work for you, that's fine. But don't keep things that you're hoping might work for you some day in the future. It just takes up space for clothes that you could be wearing right now! It's perfectly fine to have "special occasion" clothes that you love, but can't wear every day. But if 90% of your closet is clothes that don't work with your lifestyle in one way or another, that's a problem! You're going to end up re-wearing the same few things that do work with your life. Stacy London called this "use value" - does the piece of clothing have any value in your life? And don't forget - don't just throw away your clothes that are still in good shape! Donate them to Goodwill, or your local clothing charity of choice. Just because your clothes don't work for you anymore doesn't mean they won't work for anyone else.